We are happy to be a part of the esa/cesah business incubation programm and to be supported by the European Fund for Regional Development. 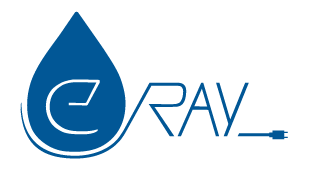 e.Ray was funded by EXIST founding scholarship throughGerman Ministry of Economics (BMWi) and European Social Fund (ESF). We thank the Institute for Fluid Mechanics and Aerodynamics, the workshops and HIGHEST-Start-up- center at TU Darmstadt. The SolidLine AG provides us latest Solidworks CAD-Software. Big Thanks to European Climate Knowledge & Innovation Community.